Were you pulled over and subsequently arrested by the police for unlawful possession of ammunition in Massachusetts? You should understand that this is a serious charge and may result in jail time if found guilty. Gun laws in Massachusetts are often regarded as being some of the most stringent laws. Under Massachusetts Law, possessing ammunition, if not licensed to do so is a criminal offense and, if found guilty of the crime, could result in up to 2 years in the house of correction along with fees ranging anywhere from 0-$500.00. That you, as the defendant, were aware that ammunition was in your possession. Massachusetts law requires that firearm owners must be licensed to purchase and carry both the firearms along with the ammunition. A license must be obtained through your local police department or the Massachusetts State Police if need be. There are several different licenses that any given individual could have, and the licenses differ in regards to what kinds of guns you can carry and how much ammunition you are able to have on you at any given time. What are some of the defenses a gun control lawyer could use to help win my case in court? 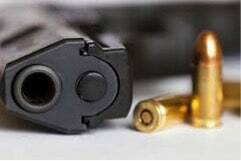 A skilled New Bedford criminal defense lawyer who has handled unlawful possession of ammunition cases is familiar with and has successfully utilized a number of the following defenses. At DelSignore Law, we understand that simply being in the vicinity of an object does not constitute possession. Another argument would be in regards to your state of mind at the time of the arrest. It could be that you simply were not aware the ammunition was on you; we would urge the jurors to consider your actions and words following the arrest to help better gauge your state of mind at the time. We could file a motion to suppress the initial stop by the police, or a motion to suppress any evidence that was found in your car at the time of your arrest. By doing so, we would be challenging the legal basis of the stop and the search; if a motion challenging the stop is successful the case will be dismissed. If a motion challenging the search is successful, the illegal ammunition found in your car would be excluded from evidence at trial. Were you charged with unlawful possession of illegal ammunition? Contact us today for a free and confidential consultation. We would be happy to talk with you via phone or we can set up a time to meet in person. At DelSignore Law, we have a successful track record of defending clients who have been charged with a number of criminal charges. Fighting an illegal ammunition case in court is a complicated and often timely matter, and should be handed by a defense attorney who has knowledge of this area of law. Contact DelSignore Law today. We have convenient office locations located across Massachusetts and would be happy to review your case with you. By calling us or setting up an appointment, you are at no obligation to hire us. Our consultations are 100% free of charge. To learn more about gun crimes, take some time to visit our website and learn more about the different charges you might be facing here. For a better understanding on what you can expect as your case progresses through court, read more about the process and court proceedings you will have to attend here.